Back to baseball! After all the political advertisements vanish from the airwaves Wednesday, baseball returns with the weekly Reds Hot Stove League season premiere 6 p.m. on WSAI-AM (1360) from the Holy Grail Banks. Thom Brennaman and Jim Day will kick off the winter series with Phil Castellini, Reds chief operating officer, talking about the club's season-long celebration of the 150th anniversary of the 1869 Cincinnati Reds Stockings, the first all-professional baseball team. All shows until spring training will be broadcast live on Wednesdays from the Holy Grail. The show moves to WLW-AM next week, on Nov. 14. Three of the 21 shows will air on WSAI-AM due to basketball conflicts on Reds flagship WLW-AM. 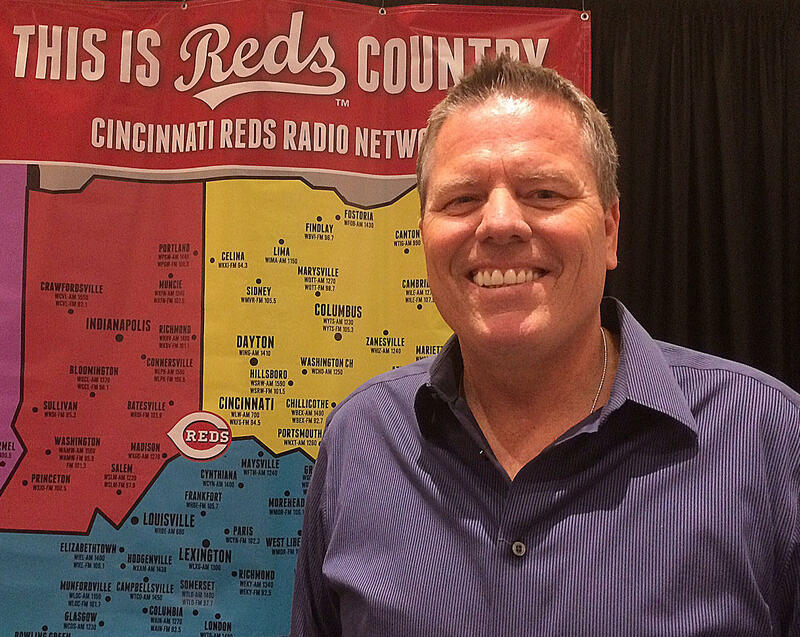 Jim Day will broadcast most of the "Reds Hot Stove League" shows from the Holy Grail Banks. Day will do all but two shows through Feb. 6. Marty Brennaman, who returns for a 46th season in 2019, will do his first show on Nov. 28, two days before Redsfest weekend. Jeff "Cowboy" Brantley will do only one Hot Stove League broadcast from here, on Jan. 16, the night before the Reds Caravan weekend. Thom Brennaman will host Holy Grail shows Feb. 13-20 while players work out at spring training in Goodyear, Ariz. The Reds spring training season opens Feb. 23 in Goodyear. Shows will be broadcast from Arizona Feb. 27 through March 27. Opening Day is Thursday, March 28, against the Pittsburgh Pirates. And this one still belongs to the Reds! Marty Brennaman's wife, Amanda, announced on her The Brennaman Report Facebook page that Marty will return to the Reds Radio Network booth for a 46th season. Next year will be a big one for the Cincinnati Reds. 2019 marks the 150th anniversary of the club, the first professional baseball team. The Reds announced a slew of visuals, activities, special uniforms, projects and giveaways to celebrate the anniversary Monday afternoon at Great American Ball Park. The Reds Hall of Fame and Museum is about to get its first major makeover since opening in 2004. Reds broadcaster Waite Hoyt, who was elected to the Baseball Hall of Fame as a player in 1969, is among eight finalists for the 2019 Ford C. Frick Award for baseball broadcasting excellence.